Infidel - It's rather telling that basically every move that Trump's made on the world stage has willfully undercut our partnerships and alliances, following a pattern that could've been (and quite likely was) scripted by Moscow. After all, who benefits most from the decline of American leadership than Russia, and to a great extent also, China? "But Donald Trump, so far from "making America great again", will be remembered as the man who hastened the end of the era of American global dominance." Perhaps that was the intent all along--but in the mind of Trump and his gang, they can only view it in the reverse--they are making the country even better, even if it is only for a small, wealthy white minority. Twice in the past 30 years Presidents who were Democrats were elected and managed to fix the mess left behind by Republican predecessors and restore some respectability to the US--with Barack Obama being the second (Clinton being the first). Obama had the much harder job, but he pulled it off. I'm not sure if that will be possible after Trump, even if the next President (who will certainly be a Democrat) goes all out. As I said to someone before Election Day in 2016--how do you think the world will react to see that the US, for the second time in less than 20 years, will elect a President who is clearly not qualified for office? They saw this in 2000 when Bush defeated Gore and they saw it again in 2016. They know all too well that despite the efforts of many good people, there are elements in the US that could allow another Trump to enter the White House--the mainstream media that treats the GOP with softballs, the GOP that is going more and more to the right and is openly racist, homophobic, and would destroy the wall of separation of church and state, and sadly, purists on the far Left who are all for "blowing up the system" in the hope that the "revolution" happens. It's not as if we were not warned about what would happen if Trump became President--Hillary warned us dozens of times. But if the world has to move on (for the moment) without the US while we attempt to cut out this cancer in our midst, then so be it. Once we get control back, and once we make sure that people realize that no, "sitting it out" is no longer an option and that our democracy has always been fragile (and that the GOP is reduced to a minor party for the next 25 to 30 years if possible) then perhaps the world will extend the hand of friendship back to us. But if they do not trust us fully anymore, then I don't blame them. We've screwed things up to many times. Hackwhacker: It shows how far the Republicans have fallen. What would Reagan think of a US President kowtowing to Russia? Of course Reagan also conspired with a foreign regime to win his election, but he didn't stay subservient to that regime afterwards. Marc: Trump and his Trumpanzees confuse respect with fear. They think that bullying other countries means we are respected, and therefore great. A Democratic President (which we probably won't get until 2021 -- even if Trump is impeached, it will be Pence until then) will be able to undo a lot of the domestic damage Trump is inflicting, but I agree that the damage to global confidence in our country is largely irreparable. The Trumpanzee population, plus our distorted electoral system which over-empowers them, make the US unreliable. Another Trump could conceivably happen someday, perhaps an even worse one. Trump is, at least, utterly incompetent. A Trump with brains as President would be even more dangerous. And yes, I meant what I said in my second-to-last paragraph. We had a good run. If Trump could happen here, maybe it would be better for Europe and Japan to lead. Re: "... but Trump has not only undermined the US commitment to its allies, but also has adopted a stance of appeasement toward Russia and recently, to some extent, China as well." The Groper-in-Chief has wined and moaned for many years now about how the US has, supposedly, not been tough enough on the Chicoms. But now, for all his bluster about how he was supposedly (and finally, after all these years!) negotiate an effective deal with the Chicoms, today he sniveled and kvetched about how a deal was impossible ... and that was after he took steps to protect ZTE, an important Chicom firm. The guy clearly is schizoid or something. Either that, or he's up to something. Maybe the Chicoms came up with a way to pay him off; perhaps he's going to be able to build a Trump Tower in Beijing or got some other big concession (which will profit only him). Oh, and part of his sniveling, today, was something was some kind of blather about no one having ever negotiated a trade deal with China before. Yeah, really. He said that. Oh and FWIW he's correct about the US having been historically weak in opposing the Chicoms. But that happened largely because American companies shifted a huge proportion of their labor to China in order to enhance profits. That wouldn't have been possible without favorable terms. The reason we've been weak in relation to China is because businesses and the wealthy wanted us to be. I suspect they STILL want weakness in relation to the Chicoms. Which is why the GiC is probably throwing up his hands and letting the matter go. Businesses and the wealthy cannot be denied ... not even by the high and mighty "swamp drainer." You said that so eloquently. I don't talk politics with my family because my brother, husband and father all support Trump. I'm the only one who didn't vote for the man. They can't see anything he's done as being wrong and it astounds me every time I hear them talk about it. PsiCop: I think Trump has a natural affinity for "leaders" like Putin and Xi, who are basically just mafia kingpins whose gangs control very large territories. Trump is fundamentally the same kind of guy, as is increasingly apparent from what's coming out about his business (if that's the right term for it) career. Mary: Thanks! Believe me, I know the feeling. The Trumpanzees have their own alternate reality which no longer has much connection with real reality -- if you read things like Breitbart or Alex Jones, you know what I mean. Not much point trying to debate that. I am not political AT ALL! I don't join conversations about it and don't normally comment on political posts and such. But, you are so right, Trump is restructuring the democratic world, and in ways that are not beneficial for America...just a tiny bit of my 2-cents worth. Wishing you a great Sunday Tomorrow! I like the reference to ... this cancer in our midst... in Marc's comment. An ugly tumor is certainly what tRump is and unfortunately it continues to grow. 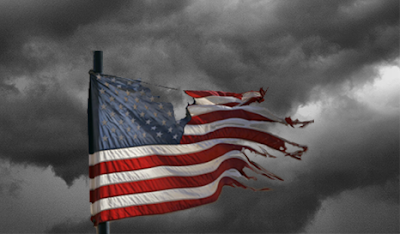 Whether or not America has the ability to remove the cancer, heal iitself, AND regain the respect and leadership role it has had since WW II is questionable, even doubtful. Only time will tell. tRump is a one man wrecking ball as well as a cancer as he works at destroying the fabric of our republic, our reputation, and our self respect as a nation. tRump IS the enemy within. Dellgirl: Thanks for commenting! I can understand the aversion to politics -- I get awfully tired of it sometimes -- but always remember that even if you don't take an interest in politics, politics takes an interest in you. Rational: And like a cancer, he'll do more and more damage the longer he's left untreated. No other President has had this kind of effect on the global order. Bush's wars were certainly disruptive, for example, but he never made our allies feel that our defense commitments were unreliable. Your guy's a lot more at ease with North Korea than he is with Canada. And to think the worst thing that ever happened on the Canadian border was a bunch of kids crossing over while playing Pokemon Go in '16...heh. Nevertheless this has gotta be a new script in world diplomacy, the likes of which have never been seen before. Arvind: I'll have a post up on the Korea summit later this morning.